Bite me! Yep!, that's the name, don't you love it? You'll love the price, too! Just $13.95 (like all our photopolymer stamp sets). With our photopolymer stamps, you can *CLEARLY* see exactly where you are stamping because they are totally clear! Check out all our Photopolymer stamps! Click on the item code to see what the set looks like. She used a 5-1/2" x 4-1/4" piece of Shimmery White cardstock (101910) and folded in it half. It will still fit in a one of our Medium envelopes. And finally, this pretty card by Linda Bauwin - I love how it expands and stands on it's own! Today, I want to share some of the Christmas cards that I received in the Founder's Circle swaps. Debbie Moczek used the hat stamp from Snow Day (wood: 131892, clear: 131895) in a very creative way! By the say, this stamp came from the set, Spread the Joy (wood: 134781, clear: 134784) which was the winning entry of a design challenge of Stampin' Up! employees. This set is available only through January 2nd, so if you like it, you should order it now. Available today! the Everyday Occasions Card Making Kit! With this kit, you have EVERYTHING (except scissors and basic adhesive) to make 20 cards!! You get card bases, envelopes, die cuts, a 7-piece stamp set, a clear block, 2 ink spots and MORE! This will make a fantastic gift for just about anyone: a child, a non-crafter, a beginner, a guy, and even the advanced stamper could keep a kit in her desk at work for the last minute card. Stampin' Up! gave us each one when I was at Founder's Circle and I am so excited that as of today, you can order them too! 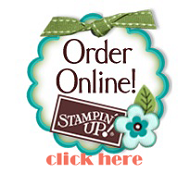 Order your's today at my Stampin' Up! store! Item #134797. I'm going to order several today for gifts! Over the next few days, I want to share some of my favorite Founder Circle swaps. I showed you mine HERE. Here are a couple that you could copy right now. A pumpkin that is positively perfect (by Sherri Peters). I bet die cutting 120 "thankful"s took a long time! And as far as I can tell, Patty Bennett was the only one that used My Digital Studio. I love this card. She used real ribbon and real Candy dots and the words are popped up. 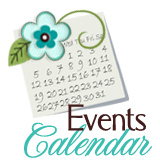 If you want to know more about swapping cards, I bet you would be interested in knowing more about becoming a Stampin' Up! demonstrator. Click HERE for more information. There is just one week until we begin our annual 12 Weeks of Christmas program! Each week, starting October 2nd, you will receive, as my gift to you, a FREE holiday project idea that you can make. You will get a photo of the finished project, a list of product used to make it, as well as instructions for assembly if needed. Some will be cards, some will be holiday gifts, some will be wrapping ideas. This is totally free as a holiday gift to you and a thank you for being on my mailing list. But you MUST be on my mailing list. If you are not on my mailing list by October 2nd, you will not receive all 12 weeks of the program. To sign up for my mailing list, just enter your name and e-mail address in the boxes to the left and click the Submit button. Easy! While at Founder's Circle, we were delighted to each receive the new Everyday Occasions Card Making Kit! With this kit (which will probably be released this week), you have everything you need (except scissors and basic adhesive) to make 20 CARDS!!! Now, I can't show you what is inside the box yet, but I can show you the 20 cards that you will be able to make when you buy the kit! Yep, it's OK, Stampin' Up! said we could show you this much! And guess how much this awesome kit will be? Just $29.95! Yeah! These cards are very simple and literally take just a few minutes each so they are perfect for the beginner, or even the non-stamper. And at this price, this would make a fantastic gift!! So be watching this week to order your's!! Me, I plan on getting several for gifts! I looked back over my Founder's Circle posts and I realized that I didn't do a very good job at describing the Pillow Gifts. Each night, after dinner, when we returned to our rooms, there would be a gift for us. This is a tradition that we also see on the incentive trips and it is so much fun!! First night: brand new products that will be in the next Occasions Catalog that you will see in January. I am not allowed to show you the products in the packaging, but I can show you what can be made with them. Second night: I couldn't figure out how to open it and so I got some help. And then, I still wasn't sure what it was. It turned out to be an Infinity scarf and I'm not sure I can even wear it, but I will try to get some pictures and share them with you later. Hopefully, this describes the pillow gifts better! I started this post on Saturday but didn't get it finished until today... sorry! Today is the last day and I took it easy, sleeping in a bit and then I did some shopping with friends. The final event was a secret until we got there. What do you think it is? It was a day on the Farm! LOL! It was REALLY windy and I didn't take many pictures. We got to play a bunch of games like a duck race, archery, roping (I missed the "cow" but I actually roped the cowboy! ), and Bingo. We got a ton of Stampin' Up! product as prizes and then had a yummy dinner (pulled pork, Dutch oven beans, homemade root beer, and apple cobbler with ice cream). and of course, there were more gifts: the brand-new, Everyday Occasions Cardmaking Kit, which will be released this week!!! and the final pillow gift: a beautiful horseshoe charm, and because it was my first Founder's Circle, I also received the charm bracelet. Hopefully, it won't be the last!